27 November 1942: Keel laid as BDE-10 by the Boston Navy Yard, Charlestown, Mass. January 1947: Sold for scrapping to the Pacific Bridge Co., San Francisco, Cal. 73k Gus George Bebas was born on 24 February 1914 in Chicago, Ill. He received his commission as an ensign in the U.S. 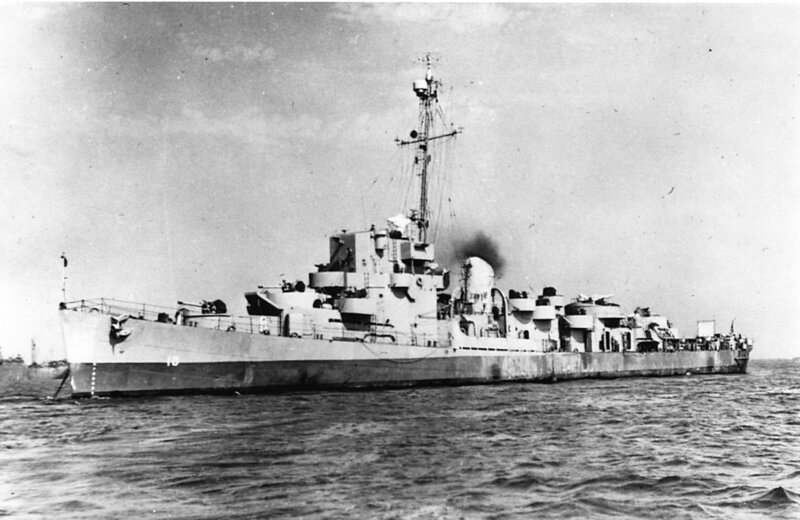 Naval Reserve on 26 May 1938 while attending the Northwestern University School of Engineering, earning a B.S. degree in commerce in 1939. 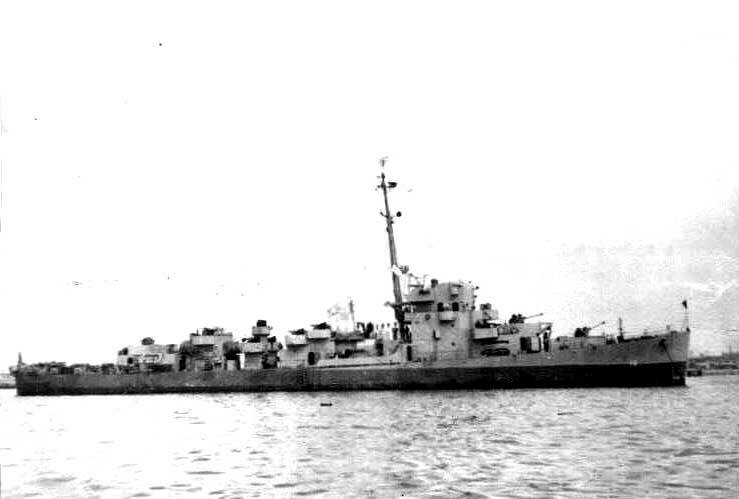 Bebas served in the Naval Reserve Officer Training Corps at that institution, and trained on board USS Wichita (CA 45) between 16 and 30 June 1939. His commission as an ensign terminated on 22 January 1940 and he enlisted the following day as a seaman second class. He completed one stint of elimination flight training at Naval Reserve Aviation Base Glenview between 14 February and 14 March 1940, and a second between 15 December 1940 and 15 January 1941. His enlistment terminated 19 February when he became an aviation cadet, USNR, and reported for training at Naval Air Station), Pensacola, the following day. Transferred to NAS Miami for further training on 04 August, he was appointed naval aviator No. 8779, on 05 September. Released from active duty involving training on 25 September, he received promotion to ensign, A-V(N), USNR, the following day. Assigned to the Advanced Carrier Training Group, Atlantic Fleet, on 26 September, Bebas reported to the Curtiss SBC-3-equipped Bombing Squadron (VB) 8, part of the Hornet (CV 8) Air Group, two days before Christmas of 1941. When Hornet sailed for the Pacific in March 1942, his squadron was re-equipping with the Douglas SBD-3 Dauntless. During the first day of the Battle of Midway, 4 June 1942, Bebas flew with VB-8 in the first strike from Task Force 16, but his squadron did not locate the enemy, flying to Midway and thence, after refueling, back to the ship. The next afternoon, 5 June, he participated in the search for the damaged Japanese carrier Hiryu. Not finding her (she had actually sunk long before), Bombing 8 pounced on the destroyer Tanikaze instead. On the afternoon of 6 June, he took part in strikes flown against the heavy cruisers Mogamiand Mikuna and their screening destroyers, scoring a damaging near miss on Mogami in the face of heavy antiaircraft fire. This display of courageous conduct and devotion earned him the Distinguished Flying Cross. Hornet returned to Pearl Harbor following the Battle of Midway, and her air group, shore-based, returned to operational training. While on a routine three-plane bombing flight off Oahu on the morning of 19 July 1942, Bebas pushed over into a dive on a target boat maneuvering off Barber’s Point, and released his practice bomb at 2,000 feet. Instead of immediately recovering, however, he entered a relatively steep right turn. He either blacked-out or could not overcome the heavy stick forces present in the dive, and his SBD-3 (BuNo 4573) crashed into the ocean, killing Bebas and his passenger, Ens. 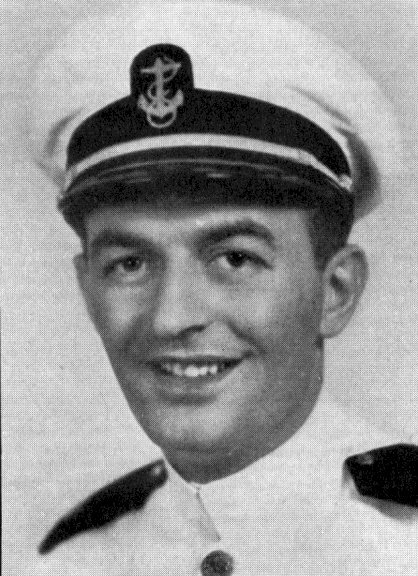 William M. Stevens, D-V(G), USNR. 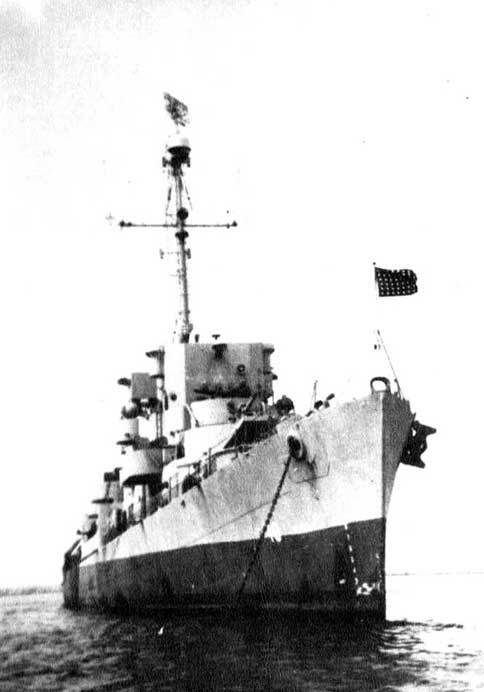 View the USS Bebas (DE 10) DANFS history entry located on the Naval History and Heritage Command web site.